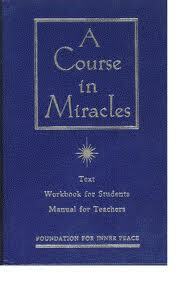 A Course in Miracles (also referred to as ACIM or the Course) is a self-study curriculum for spiritual transformation. The book describes a non-dualistic metaphysics with the concept of forgiveness given practical application in daily living. There is no author listed in the book but inside it Helen Schucman describes the process by which the material came to fruition. Schucman wrote the book with the help of William Thetford, based on an inner voice she identified as Jesus.